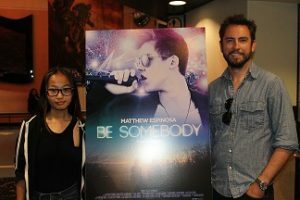 “Be Somebody” is a movie in which a small town, artsy, deep girl falls for a slightly arrogant pop star. 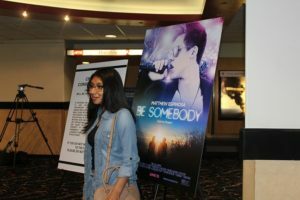 June 3rd was the “Be Somebody” LA movie premiere. 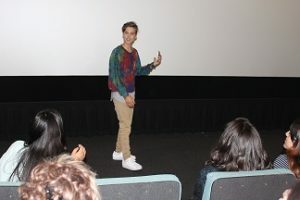 The movie starred Matthew Espinosa (who showed up to introduce the movie!) as a slightly arrogant pop star named Jordan Jaye and Sarah Jeffery as the deep, artsy, small town girl named Emily Lowe that goes on a crazy adventure. 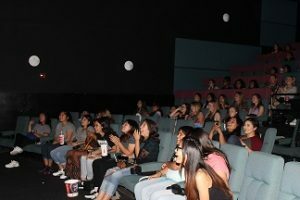 Matthew Espinosa’s character, Jordan Jaye, sneaks out of his tour bus, runs into fans, then runs over and asks if he can get into Emily Lowe’s car as an escape. “Be Somebody” was an OK movie. Some scenes could have been sped up and some questions were unanswered like, “What was Jordan’s friends reaction when he had to go to his concert with his girlfriend?” “How did Jordan’s career do after he released more music that was more himself?” “What were his parents/managements reaction when he decided to make some of his own more meaningful music?” Other than that, the acting was amazing and so was the plot.